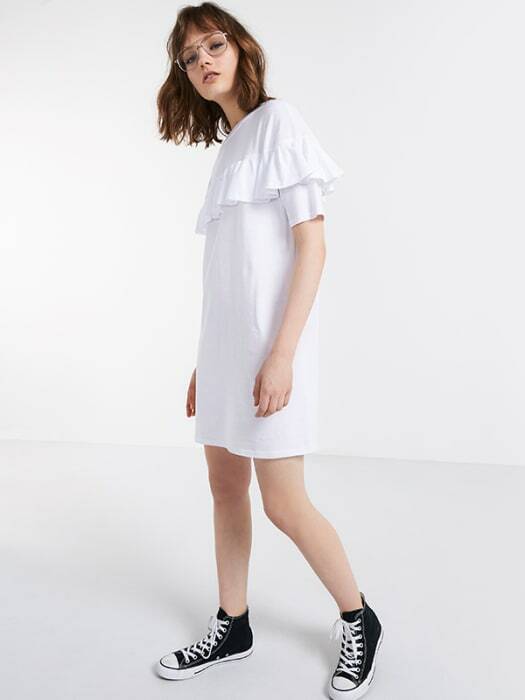 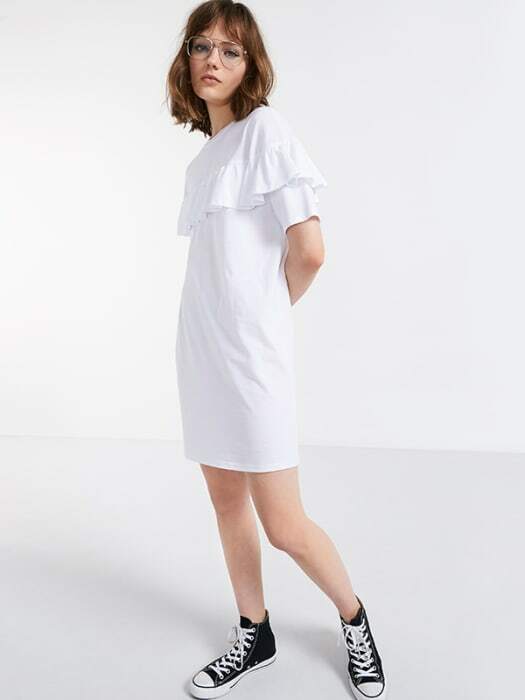 An all-new shape for the season, this Oversized T-Shirt Dress is just about as easy as it gets. 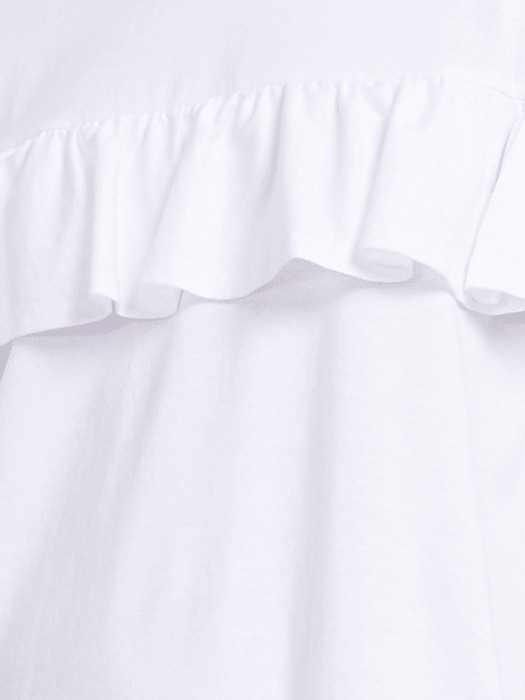 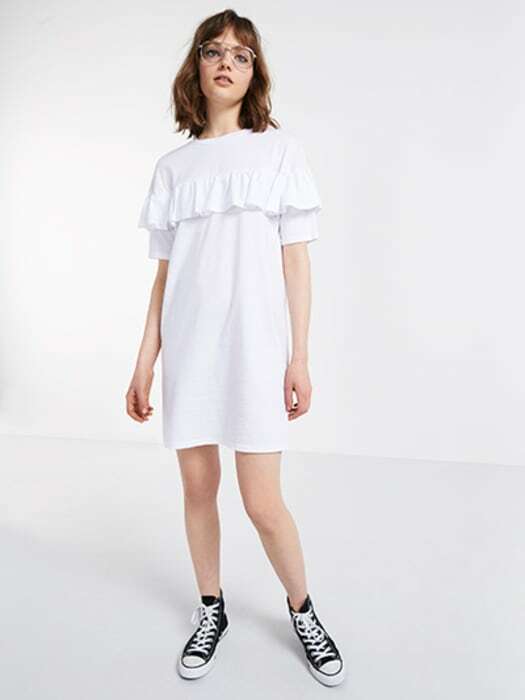 With cropped sleeves and dropped shoulders, a frilly overlay adds a femme twist to the BF vibe. 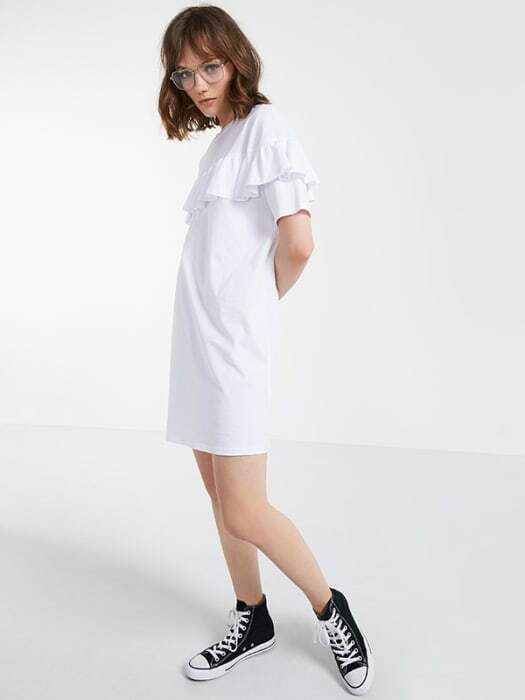 Throw it on with your cons and go with it.